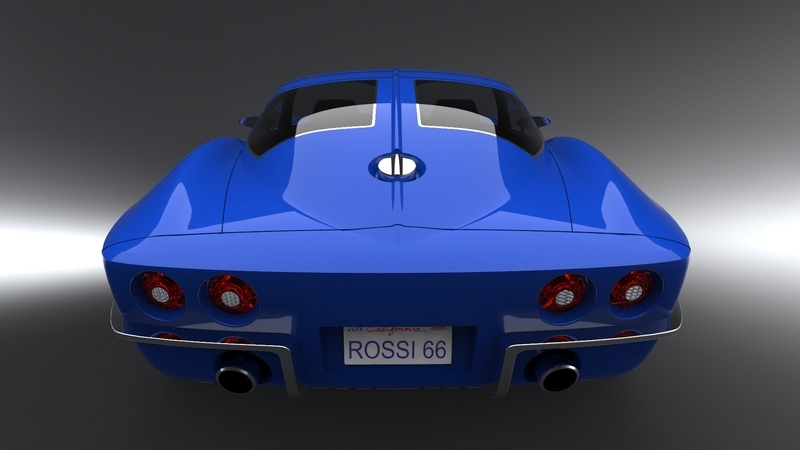 The story of this fabulous car started approximately a couple of years ago, when a company, named Blue Fusion Coachworks released the first renderings of their Rossi 66. Intended for the Corvette C6/Z06/ZR1 platform, it was to be a modern interpretation of a classic split-window Corvette coupe. The company planned lots of custom features for the car including custom forged wheels, custom interior trims, seats and other accessories. Blue Fusion was then looking for the investors to build their first example and unveil it at the SEMA 2008 show in Las Vegas but this never happened. The company claimed that two versions would be available: C6-based with 5967cc V8 (430hp at 6000 rpm, 542Nm at 4400rpm) and Z06-based with 7011cc V8 (505hp at 6300rpm, 638Nm at 4800 rpm). However, we have heard nothing from them since then, but the Rossi 66 is back again. 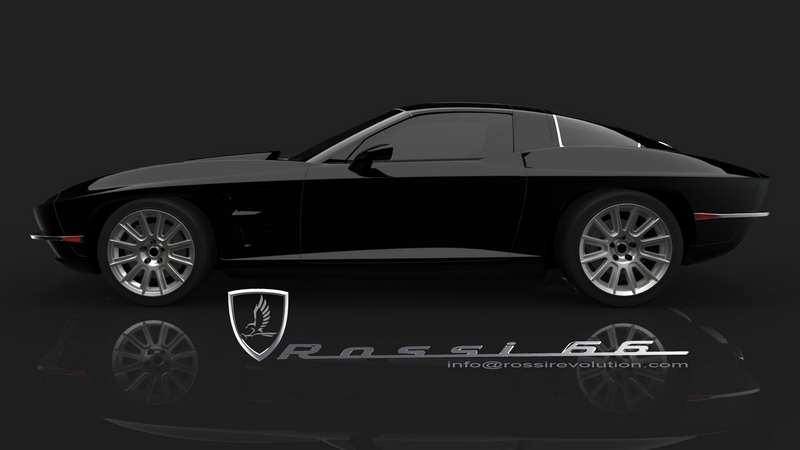 Now available from Rossi Motor Company, a modern-day coachbuilder, the car is based on a 2011 Corvette C6 (LS3 engine and drivetrain). The SixtySix is available with either six speed manual gearbox or six speed automatic paddle shift aggregate. The gorgeous bodywork made of fiberglass and carbon fiber is available is seven different colors - red, blue, silver, black, burgundy, gray and white. Besides that the car also has lots of inclusive options like signature interior and signature wheels, GPS, radio, rear back-up cameras, LED lights. The company is already taking orders and expexcts to built 250 or more examples in the coming years. 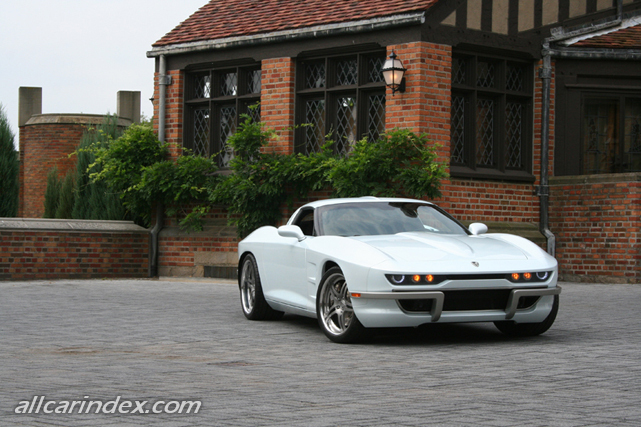 The price of the a turnkey car will be $130.000 while a conversion of client's C6/Z06/ZR1 will cost $85.000. Farmington Hills, MI – July 21, 2010 Rossi Motor Company introduces the limited production Rossi Sixty Six to the world of international automotive enthusiasts. 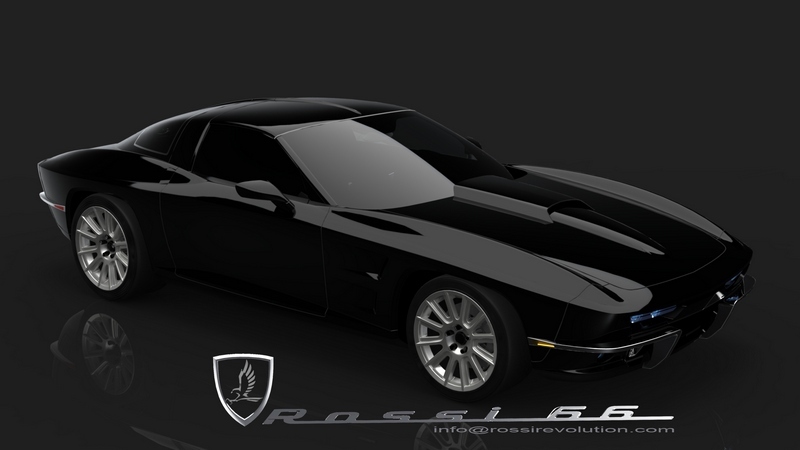 The Rossi Sixty Six was debuted in June at the 2010 Eyes on Design, Detroit and the 2010 Bloomington Gold, Chicago events. 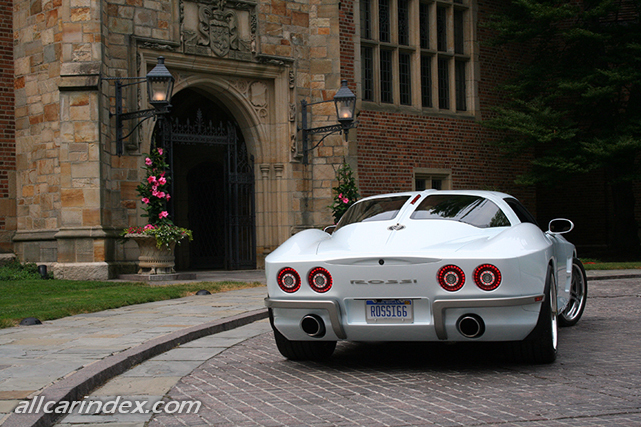 The Rossi Sixty Six is not just another sports car – it is The American Exotic Car. It is the embodiment of the American dream, a way of life that was forged in the sixties, a time when innovation and hard work made achieving dreams possible. This is why its creator, David R, chose one of his favorite cars, the 63 “split window” Coupe, as the essence of his new design. Using the style of the best classic American icon and melding it with best of today’s technology, David's dream has become a reality. 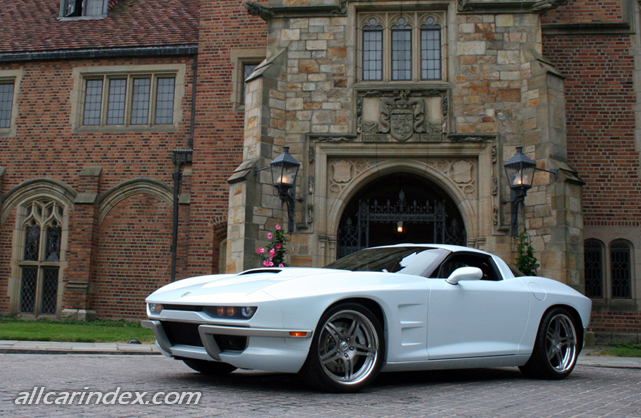 This initial offering is a unique, fully manufactured, production-quality, “split window” coupe. The sleek body of the Rossi Sixty Six is designed to complement a current production, state of the art performance platform built in America. The substantial capabilities of this record setting platform having a 450hp / 430lb torque V8 power train in conjunction with a vast array of respective tuning, will make for a very rewarding and spirited driving experience. The balance and poise of the Sixty Six is maintained through a purpose built Wheel / Tire, Suspension and Brake package of Rossi Motor Company design. The Rossi Sixty Six cabin was designed with world class automotive materials to bring immediate luxury and performance recognition to the interior. 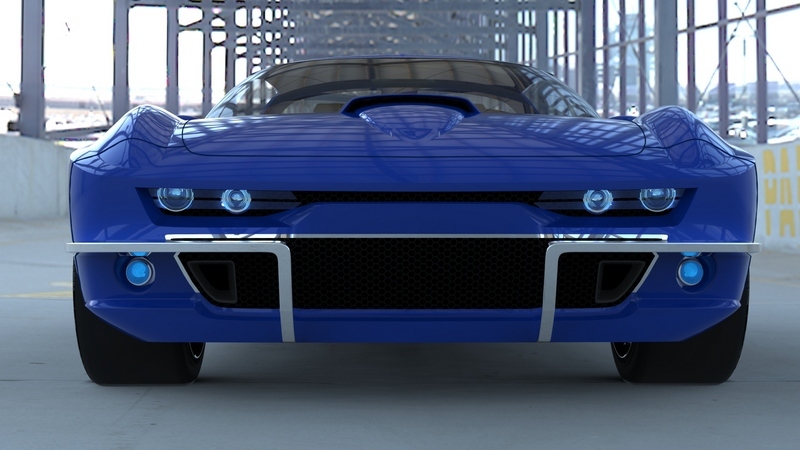 The Sixty Six was digitally designed and engineered by Blue Fusion, who will insure that production processes and tolerances will be to the highest quality in the automotive industry. 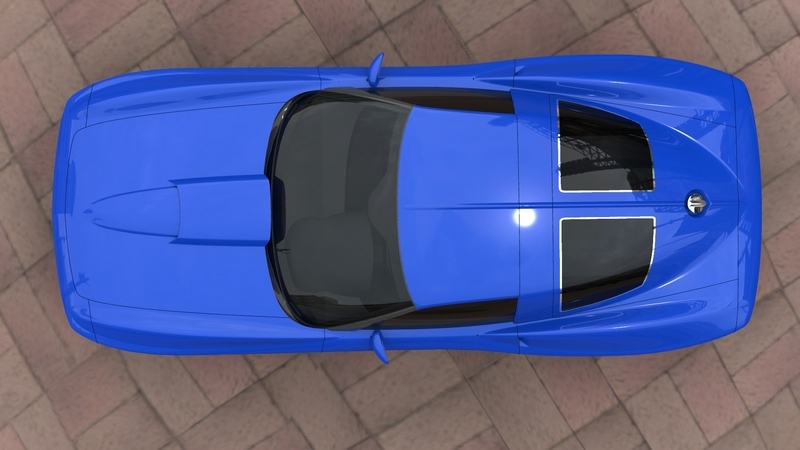 Blue Fusion has to its many credits the development of the much coveted 2005 Shelby GT500 Mustang. 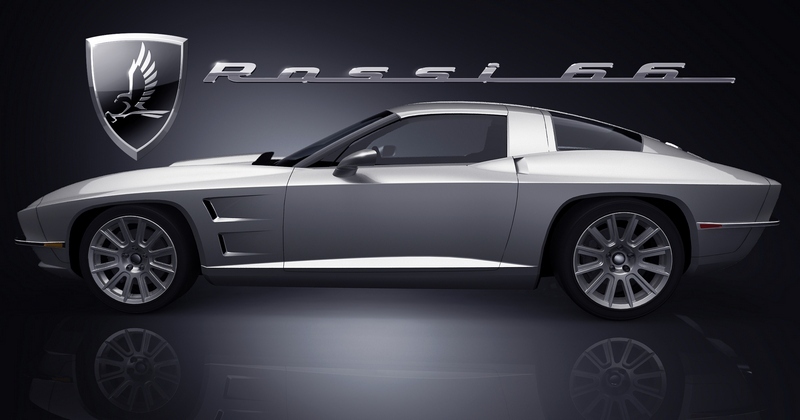 The Rossi Motor Company is excited to announce that all stages of development, engineering and production assembly will be carried out in Michigan using dedicated local talent. 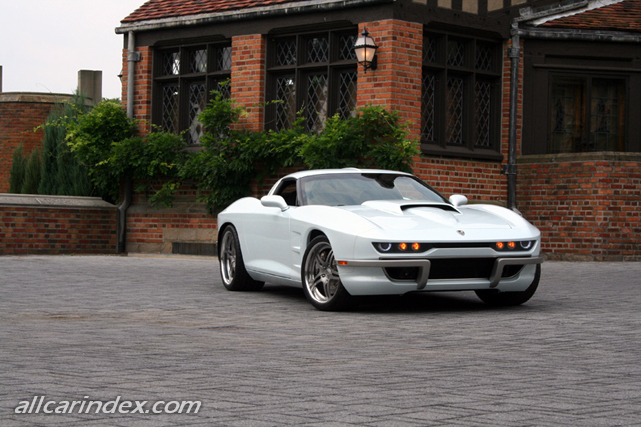 Upcoming events include the 2010 Concours d’Elegance, Rochester Hills and the 2010 Woodward Dream Cruise, Birmingham. Each Rossi Sixty Six will be built to order as new turnkey vehicles and are manufactured in Rossi Motor Company facilities. The price for the Rossi Sixty Six will start at $129,000 with financing options available. Other accessories designed specifically for this brand will further enhance the driving experience. Rossi will also offer a convertible version which is currently under development for future release. Please mention www.allcarindex.com when using this text.